Have you ever heard of pasteurized eggs? There are a few companies that sell them, but around here, I don't see them very often. Then again, I don't need them often. I've made eggnog with pasteurized eggs, and there are some cocktails that use them. And there might be a few ice cream recipes, as well. Since they're not sold here often, I decided to pasteurize my own using a sous vide immersion circulator . After reading a lot of websites with a lot of information, I decided that 75 minutes at 135 degrees seemed to be enough time at a high enough temperature to make the eggs safe without cooking them. So I gave it a try. To keep the eggs from bashing around and cracking in the sous vide water, I put the eggs into a silicone mesh bag . I waited until the water reached 135 degrees, then I lowered the bag into the water and set the timer for a hour, 15 minutes. When the time was up, I removed the eggs and let them cool in cold water, then refrigerated them. 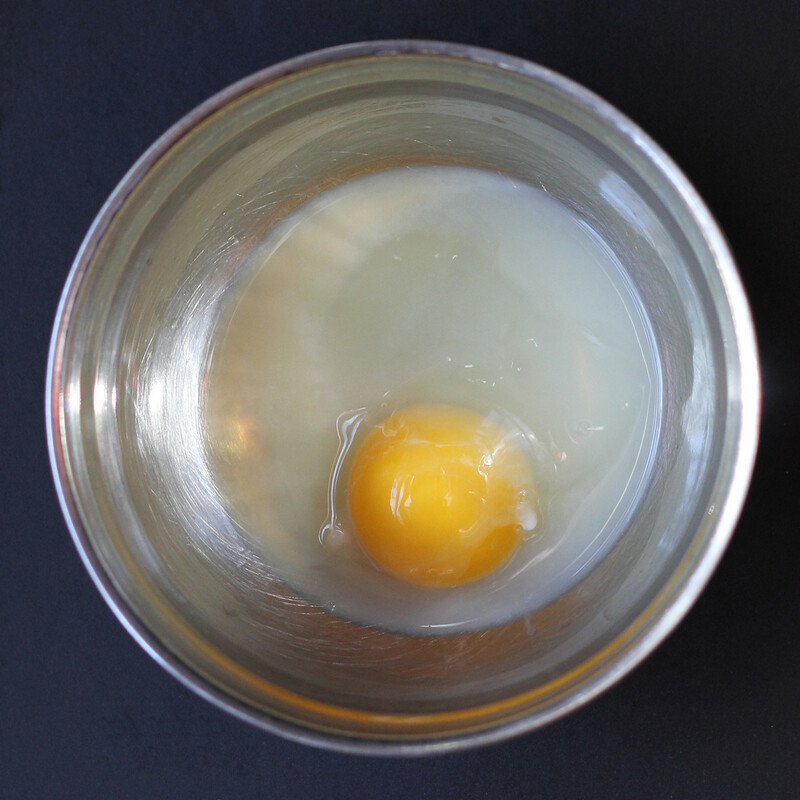 When I cracked the eggs, the whites were cloudy and the yolks were a little firmer than a normal raw egg, but they weren't too dense to use them like a normal raw egg. I've read that pasteurized whites take longer to whip if you need them whipped for things like a meringue, but I didn't need that, so I can't tell you how well that would have worked. I don't see any reason why these eggs couldn't be used just like raw eggs. Whether they were completely safe for eating raw or not, I can't say. Other reputable sites say they're safe. While nothing is 100%, I'm going to go out on a limb and say they're safer than if they weren't heated at all. So there ya go. Sous vide pasteurized eggs.